The Riksdag works with EU-related matters in many different ways. Debates on EU affairs are held in the Chamber and the committees examine new proposals from the EU. The Government consults the Committee on EU Affairs ahead of decisions in the Council of Ministers. It is the Government that represents Sweden in the Council of Ministers, so the Riksdag mainly exercises its influence through the Government. 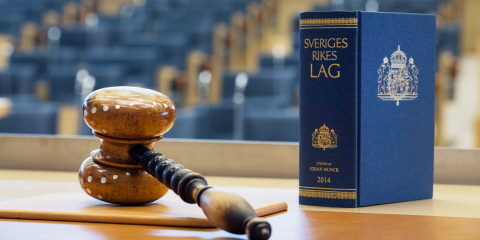 As a result of Sweden's membership of the EU, the Riksdag is no longer the only body with the authority to decide what laws will apply in Sweden. It shares this role with the EU institutions. Most of the decisions taken in the EU are supranational. This means that the EU member states have transferred their decision-making powers to the EU. New proposals are submitted by the EU almost daily. At the same time as the EU institutions work to prepare decisions, each EU member state also works with the same matters. 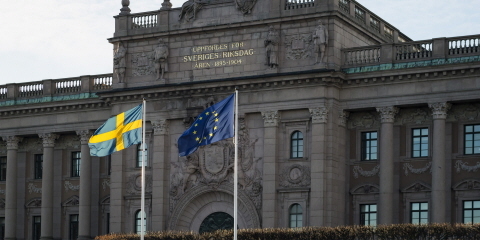 When the EU Council of Ministers makes its decisions, Sweden is represented by the Government. Therefore, the Riksdag mainly exercises its influence through the Government. The Government is accountable to the Riksdag for its handling of EU matters. The Government is obliged to inform the Riksdag of what is happening in cooperation between the EU member states and of its own work with EU matters. The Government must also consult the Riksdag regarding Sweden's position on various EU matters. This is done in the Chamber of the Riksdag, in the parliamentary committees and in the Committee on EU Affairs. EU matters are debated in the Chamber of the Riksdag, and these debates are open to everyone. In this way, the Chamber is important in promoting transparency, openness and public debate around EU matters. The Government also provides regular information in the Chamber on topical EU matters. The committees examine new proposals from the EU and determine which EU matters the Government must consult the committees on. The committees are also obliged to examine certain EU proposals to ensure their compliance with the principle of subsidiarity. According to this principle, decisions are to be taken at the political level that can take the most effective decision, as close to the citizens as possible. The Government consults the Committee on EU Affairs ahead of all meetings of the Council of Ministers and ahead of meetings of the EU heads of state and government in the European Council. The Riksdag takes part in various forms of cooperation with the national parliaments of the EU countries and with the European Parliament. This cooperation involves the exchange of both experience and information. The Speaker and Deputy Speakers of the Riksdag direct this cooperation. Interparliamentary EU Information Exchange (IPEX) is a platform for cooperation between the national parliaments of the EU countries designed to facilitate the exchange of information and documentation. The parliamentary committees and the Committee on EU Affairs maintain contacts with their counterparts in the other EU parliaments in order to discuss topical issues. The Committee on EU Affairs meets the EU bodies in the national parliaments every six months in the Conference of Parliamentary Committees for Union Affairs of Parliaments of the European Union (COSAC). The Riksdag also has an official who follows the work of the EU institutions directly in Brussels. Through this representative in Brussels, the Riksdag is able to maintain a close contact with officials in other national parliaments and the European Parliament. The representative reports back to the Riksdag and disseminates information about the Riksdag's work with EU matters.